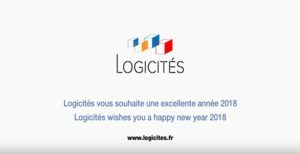 As every year, the blog Logicités highlights 5 bad news raised during the past year and 5 good news concerning the urban logistics. Except particular phenomena as those of El Nino, 2017 will be the hottest year of history. To such an extent that we do not any more speak to limit climatic warming of1,5°C or 2°C. Some people already speak of 3°C. 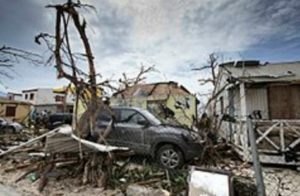 Consequences of this climatic warming are dramatic: hurricanes, cyclones, storms, flooding, fires, climatic refugees. The list of climatic events of 2017 is long and will stay in memories. Harvey, Irma, Jose, Maria. . . Names shell and seed lots of desolations. The cost of natural disasters was up to 273 billion € in 2017, which was for the insurance companies the second highest year of history after 2011 (Fukushima). In June, 2017, in spite of the reality of facts, the American president decided the withdrawal of the United States of Paris agreement. Serious decision, not only for the future generations, but already for the inhabitants of many regions of the world touched by exceptional climatic phenomena. The transport of goods is one of the sectors strongly generative of greenhouse gas emissions. The improvement of the balance sheet of this sector is a necessity to respect commitments of Paris agreement: fall of 40 % of emissions of GGE in2030 in comparison with 1990. We are really far from this goal. The figures of the European Air Agency impress. The most damaging pollutants are particule matter (notably PM 2,5), the nitrogen dioxid (NO ²) and the Nitrogen (O3). The transport of the goods and notably the diesel has an important part of responsibility in these figures. There is emergency therefore to transform the models of transport of goods to reduce these emissions of local pollutants. The European cities are not the only ones affected in theworld, far off. The British medical magazine The Lancet thinks that 16 % mortality in the world is due to the air pollution, water pollution, of workplaces. 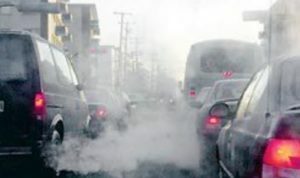 The air pollution would belong to heronly responsible in the world of 6,5 million deceases. It is not new. Already in the 19th century, cities were particularly contaminated, but what is new, it is the measure, therefore awareness of the effect of the man on his own health. The bill of the abandonment of the Ecotax rises about 1 billion €, this figure not taking into account the annual projected 1,15 billion € revenues (among which 20 % for Ecomouv) who will be lacking. Over 10 years, it is 10 billion € which will miss in the financing of the transport infrastructures . These ageing facilities (railway network, canal Seine Nord Europe) or to create (network of electric chargin facilites) require considerable investments. Ecotax, which we ca easily criticize the way it was set up, technology perhaps outdated, the reason to be, has been voted by the Parliament and should have been brought into service. 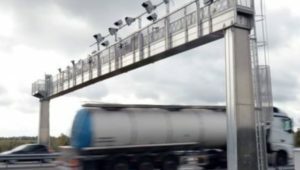 Perhaps it will be set up on regional sections or circular motorways around agglomerations, as proposed in the report published by the think tank TerraNova on requested by different regions of France. The time is no more of a debate, but to search of pragmatic solutions allowing to finance infrastructures for energy transition. Before reserved for specific and urgent deliveries, the immediatedeliveries in the big cities mark a stage in 2017. To quick delivering corresponds to a new service which brings a commercial pertinence. On environmental plan, subject is more complex because it touches 2 aspects of the transport directly: the mutualisation of deliveries and the social model. The more small volumes fast are delivered, the more it is difficult to constitute delivery turns, therefore to optimise loads. We see more and more fragmented deliveries, done with light vehicles, often with scooters. The environmental impact, but also of the accidentology, of instantaneous deliveries is rather badly known; question settles of the impact of these deliveries on the city. These are indeed more scooters, sometimes bikes or small delivery vans, all of them conditioned to very strong pressures of delivery time. On a social plan, meal deliveries with bikes seem to have attained a stage in 2017 with a focus on the social model. We will necessarily have to find a balance so that delivery with bike becomes synonymous of environmental pertinence and not of social discount. This bad signal has of course no same important level as those mentioned in first in this list. The city of Saint-Étienne is a pilot city in terms of experiments of urban logistics. It makes considerable efforts to reduce the impact of goods deliveries. One of these achievements is the installation of a Consolidation Center CDU. Studies of this CDU started in 2009 and led to a starting June, 2013. Exploiting a building of 2500 sqm, this CDU, which included at the origin many public partners, but also FNTR, TLF and the pôle d’échanges Logisitique 42, had as aim to consolidate the flows of different carriers to reduce the environmental impact of the transport. This CDU had obtained at the beginning important public aids, of FEDER, of the connurbation , of theRegion, of Ademe, of the City notably. This CDU unfortunately closed at the end of 2017, for lack of having found the necessary profitability and been able to persuade the main carriers of its effectiveness. This blog already wrote different analyses concerning the CDU, which remains complex, imposing additional costs of crossdocking and a mutualisation of flows of companies which are competitors. The conditions of success are numerous and impose to set such models up with caution. The consolidation of flows remains however the central axis of the urban logistics, the CDU being only one of the possible solutions. The end of this CDU remains a bad news for a model which was seen as positive. Cities are invest vin the implementation of urban logistics policies. Only wrong good news was that of the canal Seine-Nord Europe construction. A compromise on the financing was however found in October. Let us be therefore optimistic on the construction of this infrastructure which will makes possible to reduce appreciably the number of trucks on the road. This exceptional public debate, which announces a future law of orientation of mobilities, had a specificity which is the first one in France. Mobility does not concern only the persons, but also the goods. The place reserved for the urban logistics had to be only a foldaway seat in these debates. The mobilisation of the different actors, professional federations, associations, experts, made that this foldaway seat became a seat anchored well in national debate. The urban logistics has its place finally in public policies and it is a very big step forward. Until now, the offer of electrical delivery vehicles limited itself principally to some models of small vans of 3 or even 4 m3. It is principally about KANGOO ZE used notably by La Poste. 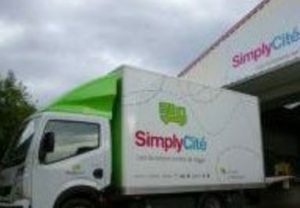 The segment of delivery vans from 8 to 14 m3, which represents however the basics of the delivery vehicles in centres urban, found not enough attractive offer on the market. In 2017, this situation apparently changed. Constructors as notably Renault (Master ZE), Ford, Mercedes, VW (E-CRAFTER), DHL (Street Scooter), Voltia-Nissan (Maxi 8 m3), Colibus, Gruau (Electron II), BD (Tip Trailer), offer different models on the market. A broader offer of vehicles will allow to make electrical delivery a standard in city centers. After years of observation of the results of a public policy leading to a critical situation in many medium size cities, with rates of commercial vacancy in quick increase, it is necessary to underline the step made in 2017. The plan of revitalisation of the medium size cities, on 5 years, is good news, even if it is not accompanied with a pause of commercial extensions as in some countries. This awareness is a necessary step and constitutes good news. Until now, this increase of commercial vacancy in city centres is analysed as a consequence of decisions of town planning, a development of peripheral retail areas as well as individual housing. But it is probably only the beginning of a much wider evolution. The transformation of trade by e-commerce and cross-canal, the digitalisation of many sectors will necessarily have the effect of many closings of commercial surfaces, both in periphery of the cities and in city centres. Good news remains however this awarenes by public authorities. 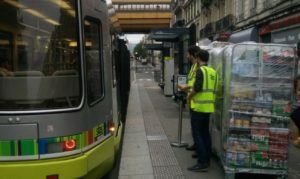 In 2017, a first cargotram in France was tested in Saint-Étienne. Transport sharing solutions between mobility of the persons and mobility of the goods gives a potential mattering in many cities to reduce the number of trucks and the negative externalities generated by the transport. 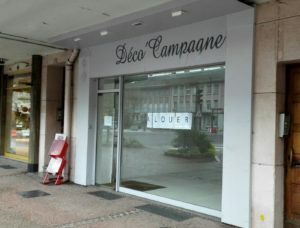 The experience of Saint-Étienne, unique in France, shows that it is possible. The solutions of distribution will not be the same in all cities but networks of persons’ public transport, vehicles themselves, give a potential of distribution which it is necessary to emphasise. This subject of sharing solutions passengers / goods is one of those approached during the Assises Nationales de la Mobilité. For a long time, cities dream about delivery with bike, in soft modes, to reduce congestion in centres. It is not possible to speak about cyclo-logistics without reminding the 23 000 bikes used by Groupe La Poste. But it is also many small enterprises, in most cities, that chose to bring clean delivery solutions for last mile: cargobikes, tricycles, quadricycles, , etc. Solutions are numerous and starte finally being recognized. Some cities as Paris, set subsidies up for the acquisition of such equipments. The cycle-logistics is present in debates, as during the Assises Nationales de la Mobilité. The project of La Boîte à Vélos in Paris was chosen to federate on a logitic area the different actors of the cycle-logistics. It is about an important step so that the cycle-logistics is not only a marketing concept but also an economic reality.